Central Ohio Urology Group is one of the largest urology practices in central Ohio. To provide advanced patient care in urology, the practice consolidated several offices and created an outpatient center of excellence. 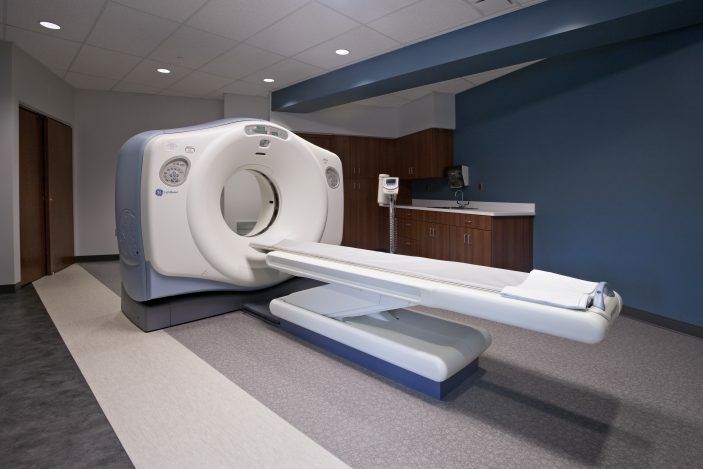 The center of excellence has a full service lab, a CT imaging suite, clinical spaces, and an ambulatory surgical center. These services allow a patient to get a full blood work up, a CT diagnosis, see their physician, and if needed, schedule a surgical procedure all in a single visit. The facility passed a stringent certification process through the American Association for Accreditation of Ambulatory Surgery Facilities, Inc. (AAAASF). Passing this inspection guarantees standardized, quality care to patients and provides surgeons a measurement of both medical and surgical competence with commonly performed procedures at the facility which includes cystoscopies, prostate biopsies, vasectomies and urodynamics. Upon passing the AAAASF survey and inspection process, the ASC received deemed status for ODH and CMS licensure.